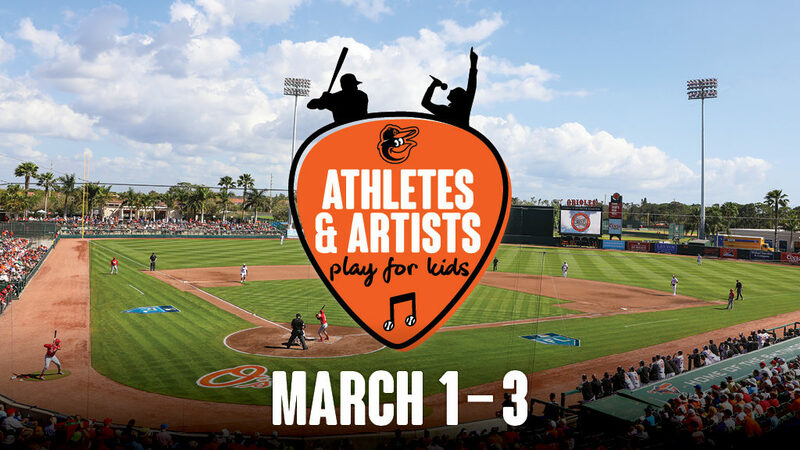 The Orioles today announced that the fourth annual “Athletes & Artists Play for Kids,” a weekend of song and sport to support arts education and girls’ empowerment, will take place at Ed Smith Stadium on March 1-3, 2019. The weekend features the fourth annual “Nashville’s Music Row Comes to the Ballpark” charity benefit, two Orioles home games, artist workshops and health and wellness sessions for local youth, and an on-field performance from Country music rising superstar and 11-time No. 1 singer/songwriter, COLE SWINDELL, on Saturday, March 2, at 7:00 p.m. ET. A portion of proceeds from the weekend’s events will fund the establishment of new Orioles Charitable Foundation Music & Arts Education Scholarships designed to offer arts education support to deserving young students in Sarasota, Baltimore, and Nashville. This annual “Athletes & Artists Play for Kids” weekend fundraiser began four years ago with the first “Nashville Comes to the Ballpark” event and has steadily grown to include more programming and more supporters, including last year when the ballpark hosted a concert performance by LOCASH to support selected charitable efforts. This year’s weekend-long series of events will begin Friday, March 1, when the Orioles host the Tampa Bay Rays at 1:05 p.m. Later that evening, charitable donors will return to the club’s Training Complex at Ed Smith Stadium for a one-of-a-kind, all-access event bringing Orioles players and Nashville songwriters and artists together for the fourth annual “Nashville’s Music Row Comes to the Ballpark” charity benefit beginning at 6:30 p.m. Performed in the format made famous in the hit television show Nashville, the evening will be hosted by Dreamlined Entertainment songwriter MARGARET VALENTINE and headlined by Songwriter Hall of Fame writer, Nashville legend, and Grammy award winner DESMOND CHILD; Nashville Songwriter of the Year MATT McGINN; singer-songwriter RYAN BEAVER; musician MacKENZIE PORTER; and other special guests. More information about each performer can be found at Orioles.com/Nashville. On Saturday, March 2, the Orioles will offer a Girls Empowerment Workshop and a Youth Music Mentorship Workshop for local youth at Ed Smith Stadium. Additional details about the mentorship workshops will be announced at a later date. Following Saturday’s workshops, the Orioles will host “Cole Swindell’s Party in the Outfield,” an on-field concert at Ed Smith Stadium at 7:00 p.m. Opening for Swindell will be special guests MacKenzie Porter and CARTER FAITH JONES. Tickets for “Cole Swindell’s Party in the Outfield” are currently available at Orioles.com/Cole. Stage-front tickets are now sold out, but general admission on-field tickets are still available for $30 in advance ($35 at the door). All tickets are standing only (no seating on the field), but fans who wish to sit can do so in the ballpark seating bowl. Wheelchair accessible seats are also located throughout the stadium seating. The Orioles will wrap up “Athletes & Artists Play for Kids” weekend with Sunday’s 3:05 p.m. game against the Detroit Tigers. Swindell, a Platinum-selling recording artist and 11-time No 1 singer/songwriter, released his third album, “All of It,” for Warner Bros. Records/Warner Music Nashville in 2018 and it debuted at No. 1 on the Billboard Country album chart and No. 7 on the Billboard Top 200. 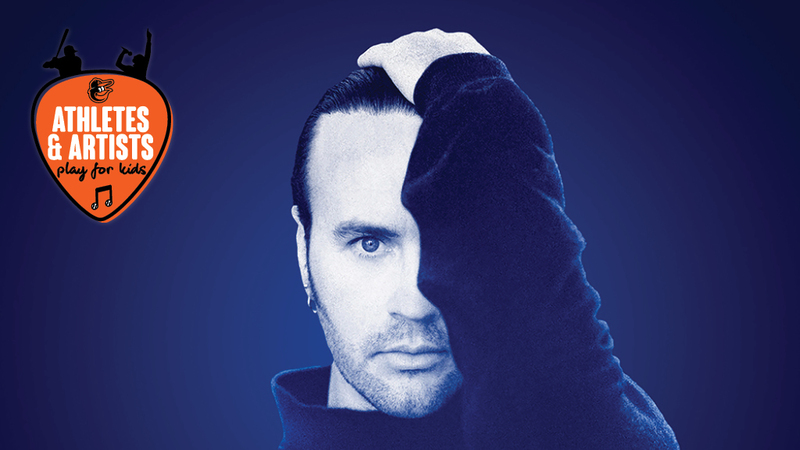 The first single “Break Up In The End” became his eighth No. 1 career single as a solo artist. “Break Up In The End” was recently nominated for a Grammy for Best Country Song and was named one of the best country songs of 2018 by Amazon, Spotify, Billboard, You Tube and Whiskey Riff among others. Swindell performed the hit single on last summer’s (2018) ABC Television special “CMA Fest” and when he headlined the “NBC’s Citi Concert Series on TODAY” (2018). The Georgia native debuted his current single “Love You Too Late” LIVE on ABC’s “Dancing With the Stars” and in December performed it on “Jimmy Kimmel Live!” The song is included on YouTube’s Best Country Songs of 2018. In just over four years since he made his debut on Warner Bros. Records, Swindell has racked up an impressive and incomparable record-breaking eight No. 1 singles (the only solo artist in the history of the Country Aircheck/Mediabase to top the charts with first seven singles); 10 No. 1 singles as a songwriter; one 1 billion+ audience reaching single (“You Should Be Here”), seven Platinum singles; one Gold single; a Platinum-certified debut album (“Cole Swindell”); a Gold-certified sophomore album (“You Should Be Here”) and over one billion on demand streams as well as numerous songwriting honors and awards including being the reigning NSAI Songwriter/Artist of the Year (2016), winning two CMA Triple Play Awards in both 2015 (as the only performer to claim the title) and again in 2016 (for penning three No. 1 songs in a 12 month span) and Music Row’s Breakthrough Songwriter of the Year during his debut (2015) with celebrated songwriting credits for not only his own seven No. 1 hits but songs for Luke Bryan, Thomas Rhett and Florida Georgia Line. In the nine years since the Orioles moved Major League Spring Training to Sarasota, more than 985,000 fans have enjoyed Orioles games at Ed Smith Stadium. In that time, the Orioles have hosted 16 shows at Ed Smith Stadium as part of the Orioles’ Arts in the Ballpark event series, making Ed Smith Stadium a multi-interest destination for local residents and visitors alike. As one of Sarasota’s leading entertainment destinations for families, Ed Smith Stadium has also welcomed more than 160,000 families and children over just the past six years. For more information, visit Orioles.com/Sarasota.